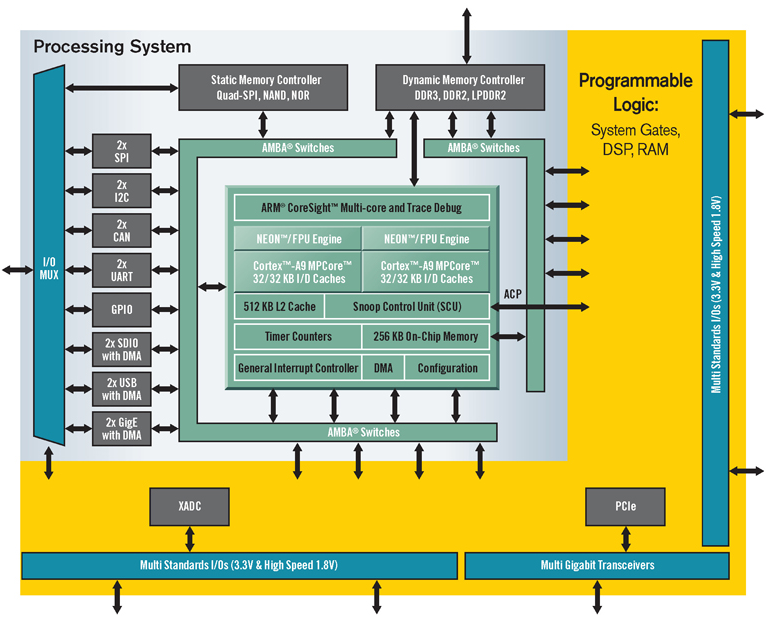 Among Zynq-7000 EPP devices, Z-7010 and Z-7020 are based on the Artix™-7 FPGA fabric, and Z-7030 and Z-7045 are based on the Kintex™-7 FPGA fabric. For as little as $15, it could take the place of a custom-designed SoC, but without the million-dollar development effort. Xilinx is seeing an addressable market for Zynq of more than $12.7 billion by 2014, according to Larry Getman, vice president of marketing for processing platforms at Xilinx, including intelligent video.